The U11 Life is a solid stock Android experience that’s easy to recommend if you can’t stand all the other options or are particularly drawn in by the design and waterproofing. HTC are in a weird spot. After selling off their smartphone engineering team to Google late last year and undergoing a series of consecutive quarterly losses, the Taiwanese tech company has found itself the bearer of an increasingly meek market position against both giants like Samsung and Google and relative newcomers like Huawei and Oppo. These details and trends might lead you to think that HTC make bad products - but that couldn't be farther from the truth. Last year’s HTC U11 was almost universally acclaimed by critics and positioned as the crowning effort of the company’s extensive ‘U’ rebranding. The people who like HTCs hardware really like HTCs hardware. However, for whatever reason, their products just don’t quite strike the same chord or stoke the flames of mass-market consumer tastes in the same way that Oppo, Huawei, Motorola and the rest of the mid-tier smartphone brands are able to. HTC feels like a brand in need of a reset. It needs to evolve or die. 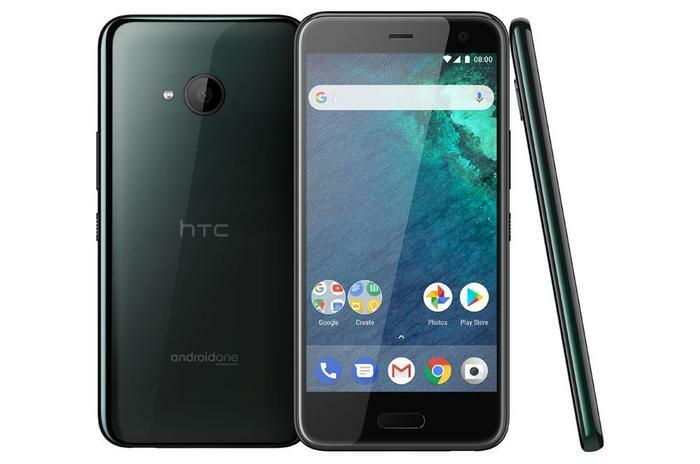 Before we get to that ultimatum, however, the company have extended the life of their U series with a new mid-ranger: the HTC U11 Life. The specs for the HTC U11 Life are as follows. On paper, the U11 Life is basically the slimmed-down mid-range U-series phone that Australians probably should have gotten last year. It takes the same sleek visual profile of the rest of the range and brings it down to a more accessible price-point. While this feat isn’t insignificant, it also isn’t without sacrifice. The U11 Life does bring with it some inherited features that aren’t always found in the $500-600 price-bracket like IP67 water resistance and Edge Sense functionality. Still, for the most part, it’s a slightly-less polished incarnation of the same essential design as last year’s U Ultra, U Play and U11. In particular, that last one. If last year’s extensive rebranding passed you by, HTC’s U range was all about slick-as-hell colored liquid glass designs. However, compared to the brighter hues of the company’s earlier efforts, the U11 Life does come off as a little more conventional and feels a little cheaper by virtue of its plastic and metal build quality rather than the premium materials used across the rest of the range. To hold, though, the U11 Life is delight fully well-balanced. It’s doesn’t feel as compact as a Google Pixel or slick as a with an edge-less display like a Galaxy S9+ but it does feel super light, both in your hands and in your pocket. That said, there are a few compromises that likely contribute to this. The display - and the speaker that comes integrated with it - are probably the two biggest weaknesses here. It sounds really tinny and the regular FullHD doesn’t exactly light up the room when there are so many other mid-tier options out offering up better display options if you’re looking for an entertainment device. Then again, there are some features here which have been pulled over from the U11 Life’s namesake to great effect. The U11 Life features a fingerprint sensor on the front, no headphone jack and comes bundled with a pair of USB Type-C USonic noise cancelling headphones. These aren’t new, but they are a step above the regular pack-ins you’d get from vendors. Especially in the mid-tier. That said, they don’t really hold water paired up against a proper set of noise-cancelling headphones. Of course, the biggest thing that's been inherited from the regular U11 is Edge Sense. A set of sensors in the sides of the device, Edge Sense allows you to open apps or execute shortcuts by squeezing the sides of your phone. For example, you can use it while the U11 Life is locked to jump right into your camera without having to put in your passcode and take photos using the camera with a similar squeeze action. As with the U11 (and the Google Pixel, which also boasts this feature), this proves itself a neat but ultimately disposal bit of functionality. You can customize and remap Edge Sense - which is nice - but this really is one of those things where the value of it does come down to how frequently you actually remember that Edge Sense is there and want to make use of it.